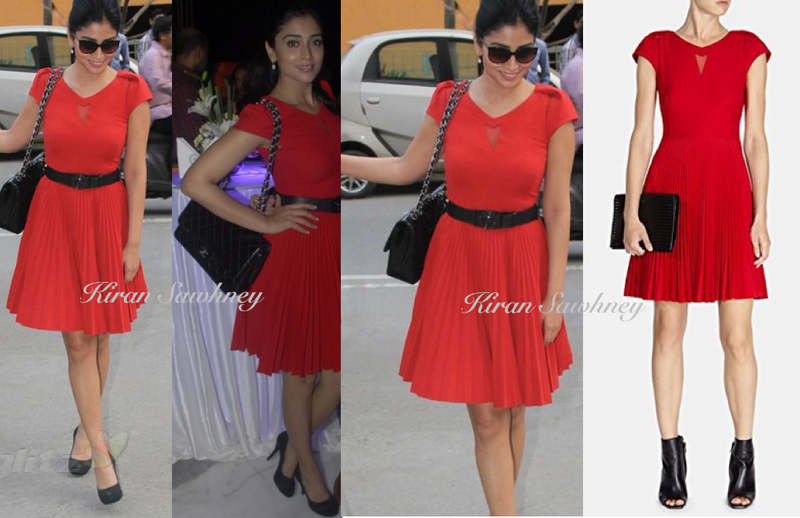 Shriya Saran wore a sunray pleat skirted, Karen Miller dress, with mesh panel at an art exhibition in Mumbai. She teamed it with black shoes, black belt and black Chanel bag. She tied her hair in a ponytail to finish the look. Anyone else feels that she should have skipped the belt. It is too much red and black.